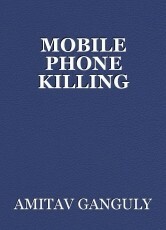 Mobile phone was used in the murder most foul. A puzzle for the police. Police Inspector Nokul Hegde of the Homicide Squad opened the door of the Morgue in the City Hospital and entered followed by Sub Inspector Mubarak. An attendant came forward. The single blue neon light covered with dirt and grime was throwing a ghostly aura around the medium sized room lined with metal drawers across the entirety of its three walls rising from the floor to the ceiling. The room was empty except a metal chair and a wooden table. The room had a semi-freezing temperature with mild cold smog swirling up; a peculiar smell of death was all pervasive. The attendant went towards the far-left side of the room and pulled back a large drawer, revealing a corpse- a man- covered, but with the face exposed; the blue tinge was palpable. The attendant removed the cover fully, looked at the Inspector and stepped aside. The Inspector moved forward, switched on his mobile flashlight and closely scrutinized the face and the rest of the body. He held on the light for a long moment and then beckoned to the Sub Inspector. “I think there is no doubt” the Inspector commented. A little later they were sitting across the table of Inspector Ghorpade in the Police station situated opposite the City Hospital. The Inspector was in a thoughtful mood, “I was sure that I would see this state of the body. I am not sure where and when this happened. And how it happened. It seems that it was done in the Hospital or Morgue.” He gazed out of the open window looking at the clear blue sky of the summer afternoon. Next day afternoon around post-lunchtime the Inspector got a call on his mobile phone while he was working at his desk. Frowning, he took the call as he felt disturbed. 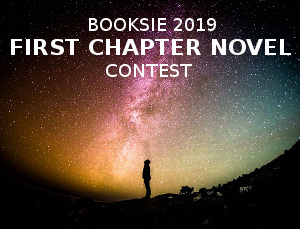 Then an agitated voice of a woman floated in, “Inspector… Inspector…” there was a pause as if she was trying to catch her breath, then at once, there was a very loud shriek, “Help me…Help…save me….” The voice trailed off followed by total silence. The Inspector moved with a lightning speed and dialled back. There were two rings after which the caller switched off his mobile. Crossing over to the communication section Nokul Hegde handed the mobile number of the incoming call and gave instructions. It needed to be traced urgently. Back in his office, he found Sub Inspector Mubarak was waiting for him. Occupying his chair and gulping the water from the glass kept on his table, the Inspector took out his handkerchief to wipe his face; it was quite warm. It was late in the afternoon when Mubarak came in with a report and placed on the Inspector’s table. It was the tracing report which said that the mobile phone belonged to one Rudraksh whose address registered with the telecom company was in the uptown area of the city. While scanning the report, the Inspector asked to find out about Rudraksh. It was almost noon the following day when the police jeep carrying Inspector Nokul Hegde and Mubarak drove through the large estate of the Billionaire Rudraksh Singh; the curving road was flanked on both sides by sweeping, meticulously kept green lawns. Once inside the palatial mansion, the Inspector was asked to wait for the tycoon in the office area. The Inspector stared at him, weighing mentally his rugged handsomeness. He just nodded slightly. He then went ahead and explained briefly about the SMS and the call he had received from the same mobile number belonging to Mr. Rudraksh. Saying this he got up and went out of the room. A little later another man came in. He was a nondescript man, with a slight limp and introduced himself as - Dilbagh- assistant to the PA. He said, “Sir, can we offer you a cup of tea or cold drink… it is so hot outside?” He smiled. His voice was painfully low bass and singsong quite unlike that of a man’s voice. About an hour later Mr. Rudraksh came in and profusely apologized for keeping the Inspector waiting. He was a tall man, in his late forties, with striking looks and thinning hair. Immaculately dressed in a light blue business suit he looked every inch the Industrialist he was. When Nokul Hegde explained the facts to him in detail, he was very polite, “Dear Inspector I am amazed to hear this story from you… the number which you have told me indeed belongs to me... but I can’t help you. Please carry out your investigation, you have my full cooperation.” He appeared unfazed. Back in the Police station Nokul Hegde went into a reverie for half an hour or so then called Mubarak. He then went ahead to give elaborate instructions. Three days have passed, since then. It was a Monday morning and there were rain clouds and a hint of rain in the air making the oppressive heat more unbearable. The Inspector smiled and nodded. Mubarak cleared his throat, happy to be given the chance, then started. He paused again to look at his papers and continued. That afternoon Nokul Hegde and Mubarak were again in the mansion, sitting in the drawing room. Sangini Mala, a lady in her early forties having great beauty and poise and Jimmy, a young man of about nineteen years, of medium height and fair skin with a mass of unruly black hair and bespectacled, were sitting on the plush sofa across the Inspector and Sub Inspector. They occupied two cushioned chairs of ornate design. She was saying, “Inspector, after the divorce proceedings I will have nothing to do with my husband or his estate. I have enough estate of my own; perhaps you don’t know that my father is also a very successful businessman in Mumbai; I am moving to that city very soon. Jimmy will still be with Rudraksh as he wants. Well, best of luck to him.” She looked at him. Back in his office Nokul Hegde was in a contemplative mood. There were many facts and doubts, but somehow, he was not able to piece together the jigsaw puzzle. The prime aspect of the crime was the death of Bhanot, a former gardener who seemed to be a crook himself, and that connection with the Industrialist through his mobile number… what did that imply? The case seemed to be hitting a wall. Even the phenomenal crime-solving ability of Inspector Nokul Hegde was being severely tested. Two days had passed. That morning the Inspector was slightly free and turning the newspaper pages on his desk when suddenly his eyes espied an advertisement in the Job Vacancy page. It appeared innocuous; the office of the Industrialist Mr. Rudraksh was looking for candidates for the posts of PA and assistant PA. The Inspector scowled and called for his deputy, Mubarak and showed him the advertisement. Later in the afternoon, the Inspector was listening to Mubarak about the sacking of Purnedu and his assistant Dilbagh due to fraud and manipulations of accounts. They had not yet left the mansion after their sacking as the auditors were questioning them. Mubarak also said that they had criminal records of swindle, women related and an assortment of lawbreaking. It was clear that this fact was not known to the Industrialist when these men were appointed earlier. That night the Inspector was about to retire to bed … it had been raining and the atmosphere was cool and languid after a long spell of intense summer heat. Earlier, during the whole evening, he was in deep thoughts about the case. The Inspector wasted no time in rushing to the mansion of the Industrialist. Next morning the Inspector was mulling about the murder of Purnedu last night who had criminal records and was under a cloud for misappropriation of money. This had added a twist to the mystery. He got up, picked up his cap and strode out. He was planning to do some quick investigations of his own. The Inspector quickly gave his orders. The next day, it was the headline news in the local newspapers and the Press that Jimmy, the son of the Industrialist, Mr. Rudraksh, had been arrested by the Police and charged with murder of his father’s ex PA, Purnedu. Along with the son, the PA’s assistant, Dilbagh, had also been arrested for assorted crimes. Inspector Nokul Hegde was in his office with Mubarak. The Inspector was looking out of the window, the curtains were moving in the slight breeze and a smile was playing on his lips. The Inspector returned to his chair and grinned. It was easy to trace the mobile number to the well-known Industrialist, Mr. Rudraksh. When we went to his mansion we found that he had four mobile phones, one of which he carried in person and the number which we were investigating was the dual second SIM of that mobile. Others were kept in his office and very easily accessible. Even the one which he carried was handled by his PA. I thought that there was carelessness in safeguarding the mobiles of such an important man. My sixth sense was telling me that there was a specific design of someone to frame or put the finger of suspicion on the Industrialist through his mobile. My next logic was that Mr. Rudraksh might not be involved in the case as he wouldn’t be such a fool to use his mobile number and sent SMS incriminating himself as if he was the criminal. Neither would such a “distress call” of a lady come to me from his number. Mubarak, did you notice that his behaviour was unperturbed even after I explained all the incidents? He was understanding that it was a hoax and we would get to the bottom of the problem. The problem was that someone was taking advantage of his dual second SIM on his mobile phone without his knowledge. Perhaps when he was sleeping or when he was in the washroom or in similar situations when the mobile was not near him. At that time, someone could have taken the SIM out of the mobile and misused it or filched the mobile phone itself for a fleeting time. Note that the SMS came to me during the latter part of the night and the next call came sometimes in the afternoon, at both times the Industrialist could have been resting. That was significant. The next question would be who had easy access to his mobiles in the mansion? Obviously, his PA or assistant PA living in the mansion. But why would they take advantage of such access? Once you gave me the background of these two characters, that they had criminal records, the picture started becoming clear. One or both could be involved. But what was the motive? To put the Industrialist in some sort of immoral trap? Or was it a blackmail? Then it struck me that the PA and that assistant had been involved in fraud and were dismissed recently. In fact, when we met them, they were already sacked and completing the last few days of their job. Now motive was becoming clear…. to me it was of vengeance. Nothing short of revenge. They linked Mr. Rudraksh’s mobile phone with the death of his ex-gardener Bhanot, who was murdered a short while ago in some gang killing. They knew that Bhanot had a big showdown and had physically assaulted the Industrialist in the past- which information they used. They also bribed some willing guy in the hospital to gouge out the eyes of dead Bhanot to give it a diabolic turn to galvanize the police. To hammer that further, they called me by faking a woman’s shout of distress. I am sure there was no woman; there was a man… the singsong low bass voice of Dilbagh was deliberately made to sound ladylike over the phone. But it must be admitted that initially, their action of revenge seemed downright foolish, it could easily be seen that the Industrialist was not involved. But, at least, it got the Police to come to the mansion and investigate, which they thought might tarnish his image. Maybe that was the goal; if so, the revenge steps couldn’t be said to be that silly or unwarranted. But I felt that something was still amiss. Retaliation might not be the only reason. It might have been a good reason for Dilbagh but not entirely for Purnedu. Then I did some more thinking and concluded that there could be another motive for Purnedu. That could be connected to the divorce case between the Industrialist and his wife where she had alleged the reason of cruelty against him for the split. Then it made sense that any sort of murder allegations against the Industrialist, however false, might go against him in the divorce. It would strengthen the case of Sangini Mala in the court that her husband was a so-called criminal and a cruel man too. More so if this negative news was properly publicized through media then Mr. Rudraksh could be fighting a credibility battle in the public eye. I checked out and found that Purnedu had friends in the Press to propagate a damaging image of the Industrialist. The Inspector paused to drink a glass of water. “All these were happening in the mansion and I dare say that Jimmy came to know the criminal motives of Purnedu or seen or perhaps heard something incriminating. I could make out by his reaction that although it was openly known that he was against his mother, he told us that he fully supported her. Then he said that he would never forgive her for what she had done till the last days of his life. This was a strong statement and contradictory one which showed his tortured state of mind. “Jimmy is a young man who has an immature mind; I checked this from some of his friends today. He has been very upset about his mother’s affairs with Purnedu. To what extent his mother, Sangini Mala, is a willing party to this affair I am not too sure. In any case, all these happenings had made him furious. He wanted to do something to stop his mother and her lover, Purnedu. With this background, I could visualize this scenario. The Inspector got up and stretched his arms. Sub Inspector Mubarak smartly saluted the Inspector as he walked out for another mission.